Heard about this “Super Blue Blood Moon” on January 31? Let’s break this down: That’s a Supermoon, a Blue Moon, and a Blood Moon on the same night, thanks to a total lunar eclipse. A convergence of all three events last happened 150 years ago. Find out the best places to see this event. “Super Blue Blood Moon Eclipse” is the description many Web sites are giving for the full Moon coming up. So, what does this mean? A Moon that’s super-big? One that’s blue? One that’s blood red? Maybe a combination of blue and red! A purple Supermoon? 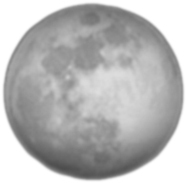 A Supermoon occurs when the Moon is closest to Earth during its orbit, and theoretically larger than average. A Blue Moon is the popular name for a second full Moon in the same calendar month. A ”Blood Moon” refers to the Moon’s hue on the night of a total lunar eclipse; it normally turns a coppery red. Put ‘em all together and that’s what you’ve got. Actual astronomers smile and shake their heads at these catchy names. They really want more people to watch the sky, and having names for things helps with publicity. Call it what you wish! Each celestial event is interesting in itself. When you put them together so they occur on the same night, it’s unique. Sometimes the celestial rhythms just sync up to make us wonder. January 31 is also the grand finale of a trilogy of Supermoons that have been taking place since early December. “Supermoon” is a new term. No one used it until a few years ago. Instead, the Moon’s closest approach to Earth—full or otherwise—was called a Perigean Moon. The problem is that even the very closest Moon does not look any larger than your average normal Full Moon. The size difference is too small for the naked eye to detect. But, okay, call it super. A Moon at perigee can appear up to 14% bigger. January 31’s total lunar eclipse will occur 1.2 days after perigee so the Moon’s diameter will appear about 7% bigger than average. Image Credit: NASA/JPL-Caltech. The “Supermoon” term has not been used merely for the closest Moon of the year, but also for the second closest, and third closest, and so on. This one coming up on January 31 is, for example, the third of a trilogy and the second closest of 2018. It’s 358,816 km away, as compared with the January 1 Full Moon which was 356,565 km away. “Blue Moon” has become a popular term for the second Full Moon in a month; the name arose because of a Depression-era mistake in an astronomy magazine. The term was never used by astronomers or the ancient Greeks, or Native Americans, or anybody else. Despite the name, the Moon won’t look blue at all. Indeed, the expression “once in a Blue Moon” doesn’t apply since it’s not that rare; the event occurs every 2-½ years. That said, the Total Eclipse of a Blue Moon hasn’t occurred since March 31, 1866. That’s 152 years ago! “The month’s first full Moon, the Full Wolf Moon, rises on January 1. What a great way to start the year! A second full Moon (a Blue Moon) rises on the 31st, and brings the year’s only eclipse for North America just before dawn. Its total phase can be seen from west of the Mississippi and in western Canada. For Moon fans, September, 2016 will provide plenty of Moon action! The month begins and ends with a New Moon, with the Full Moon precisely sandwiched in between, on the 16th day. The Full Moon nearest the autumn equinox is named the Harvest Moon since, during this month, the Moon helps the harvest by providing more light at the right time than other Full Moons do. Witness the Full Harvest Moon Eclipse Friday! Watch as the Moon Moves into Earth’s Shadow. In years when the Harvest Moon falls in October, the September full Moon is usually known as the Full Corn Moon because it traditionally corresponds with the time of harvesting corn. It is also called the Barley Moon because this is the time to harvest and thresh the ripened barley. On Friday, September 16, at 9:45 AM PDT | 12:45 PM EDT | 16:45 UTC, The Old Farmer’s Almanac is partnering with Slooh to host a broadcast of the Harvest Moon. Watch the live feed below! Slooh will be teaming up with global feed partners in Africa, Europe, the Middle East, Asia, and Western Australia, where the eclipse is will be visible, to bring viewers the live lunar show from start to finish. Learn what causes a Lunar Eclipse and the differences between a Total Lunar Eclipse and this week’s Penumbral Lunar Eclipse. Bob Berman, Slooh Astronomer and Astronomy Editor for The Old Farmer’s Almanac, will also be on hand to discuss the odd ways the Moon moves around our home planet, leading to these different eclipses throughout the year. He and Paul will also explore recent headlines that suggest our nearest neighbor’s origins were more violent than previously thought. Janice Stillman, Editor of The Old Farmer’s Almanac, will offer insights into the history and folklore surrounding the Harvest Moon. They’ll discuss the different names the September Moon has been given by different cultures, and delve into some of the cultural stories and traditions surrounding the Harvest Moon, and the annual harvests associated with it. The Full Sturgeon Moon will be 100% full on Thursday, August 18 at 2:29 A.M. Pacific Time. FULL MOON FOR JUNE RISES ON THE SUMMER SOLSTICE!